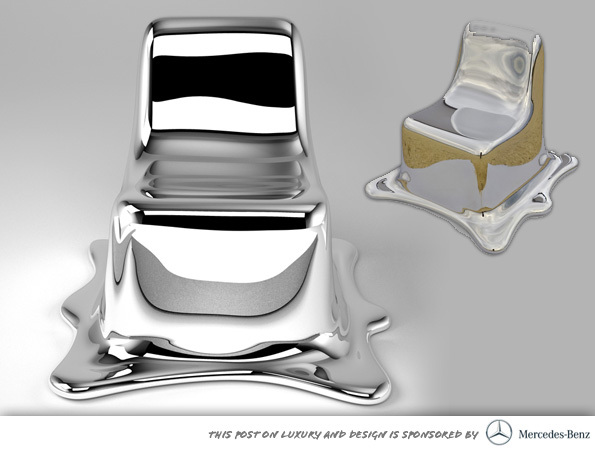 There’s something fun about pieces that take on such a mesmerizing yet sculptural form… like the The Limited Edition Melting Chair by Philipp Aduatz. 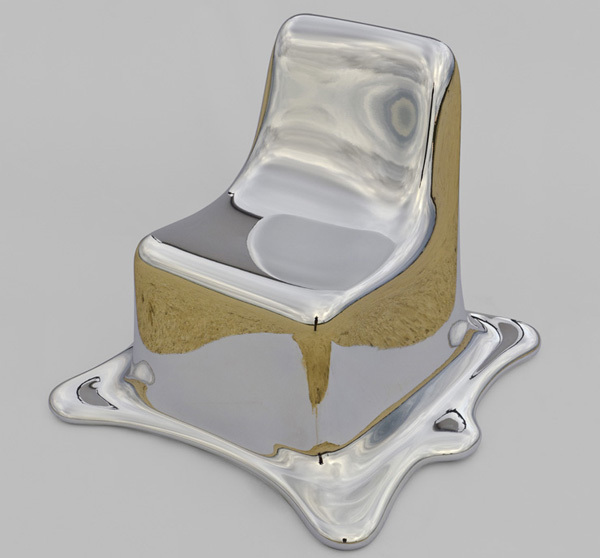 It has a beautifully mirrored surface that captures a transitional state somewhere between solid and liquid. 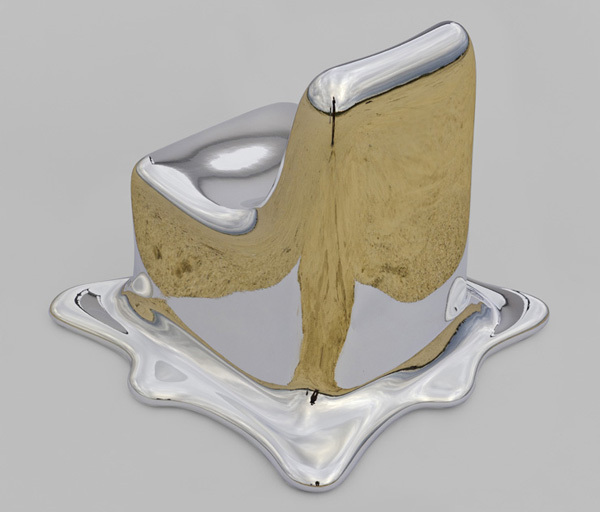 To capture this liquifying (or solidifying) effect, Aduatz studied the solidification of fluids as well as the melting of solids using 3D animation software. 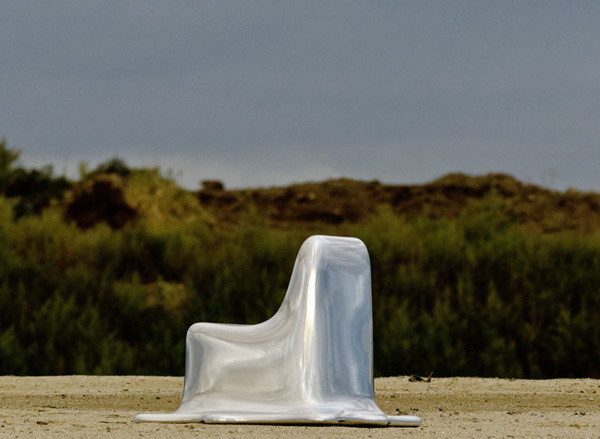 The chair is made from a fiber glass reinforced polymer that takes on a mirrored appearance due to a special silver coating and scratch resistant polyurethane lacquer. Feels very… terminator, doesn’t it? Take a peek at more pics on the next page!